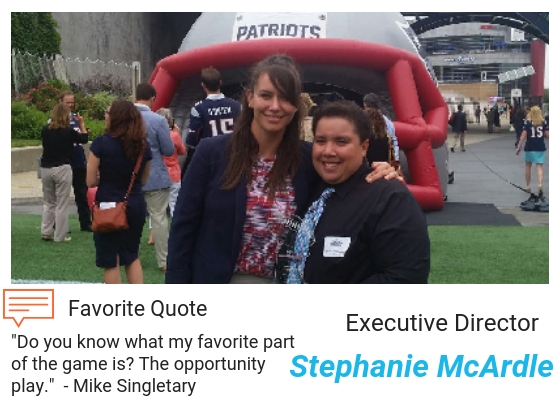 Stephanie began the programs that evolved into Beyond Soccer, growing it from its grass roots--12 girls on the first travel team--to a year-round, sports-based youth development organization, serving 2,000 kids. Stephanie, who captained the University of Michigan Women’s Soccer Team for 2 seasons, recognizes the power of sport to lift kids out of difficult situations. She is a member of the Mayor’s Health Task Force, and also champions field development efforts in and around the city that will get more kids "playing" and level the playing field. Fun Fact: Steph’s high school nickname, "Noonie" stuck with her in college & many still call her "Noon" today. 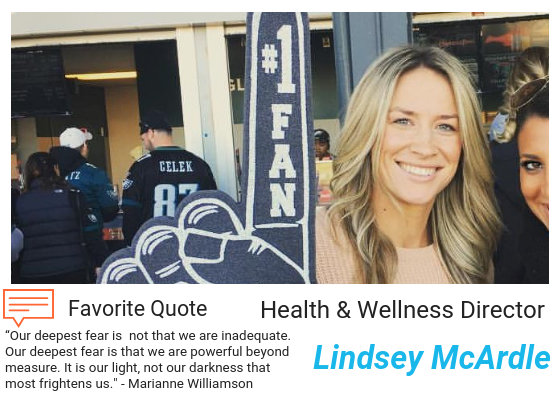 Lindsey brings her passion for health and nutrition education to the team. She captained the Boston College Lady Eagle’s Women’s Team where she earned a degree in Communications and Health Sciences. After college Lindsey moved to Chicago and got her culinary degree from Le Cordon Bleu. She’s now using that experience to run cooking and nutrition education courses and fitness training to our travel team participants. Lindsey also works part-time at Granite State Fitness with her long-time boyfriend, and owner, Steve, who also gets involved in our summer collaborative effort, LSLA! Fun Fact: Her daughter Jayla has been a regular fixture in Beyond Soccer programs. Bruce, a UMass Lowell student, is studying Biomedical Engineering. Before UML, he played soccer at Methuen High School for four years. 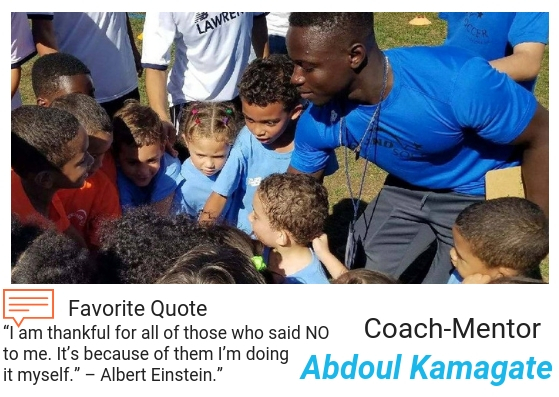 After graduation, 1/ ½ years ago, he started coaching with Beyond Soccer because he has a deep love for the sport and working with kids. "I love helping people learn and improve on things that they once thought to be impossible. Self doubt leads to negative things down the road so I try my best to make sure the kids have the correct mindset moving forward. The majority of sports boil down to a mental battle of who gives in first and you can bet it won’t be my kids!" Fun fact: "I love teaching and talking to people about stocks and the economy! A little hobby of mine." Fun fact: He fired an M-4 during Marine training while wearing night vision and doing the buddy rush. 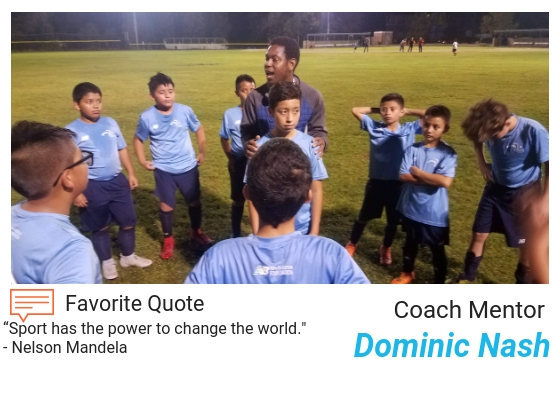 Dominic, a native of St. Vincent, with strong community ties near and far, has stepped into a leadership role at Beyond Soccer. His passion for the game plus his knowledge and soccer experience, including professional play, make him an incredible fit. In addition to coordinating practices, games and off-the-field events of the 4 boys teams, Dominic also leads the Grade 6 Thunder. Apart from being with his family, he says "I’ve found another family which is beyond soccer." Dominic also attends Middlesex Community College where he is pursuing his nursing degree. Fun Fact: Dominic‘s two young daughters participate in Beyond Soccer’s Rec League and camps. Shannon went to Johnson & Wales University and majored in Hotel Management with a minor in Casino Management. After several years working in the industry for two airlines, a dinner cruise line, and several hotels over the span of almost a decade, she decided that the business world was not for her and took a job at a middle school in Massachusetts. There, she worked in the front office and was an advisor for 40 seventh and eighth grade students. Together, she co-taught peer led lessons from the Anti-Defamation League: A World of Difference Program to combat bullying, racism, homophobia, and more. 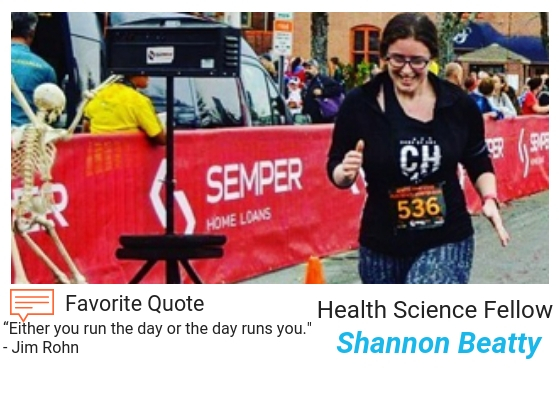 Now, Shannon is in a Community Health Education graduate program at Merrimack College and a Fellow at Beyond Soccer! She looks forward to continuing her work with youth on health-related issues and community building. Fun fact: "I love running races! I only run 5K and 10K races for now, but I hope to train for a half marathon someday." 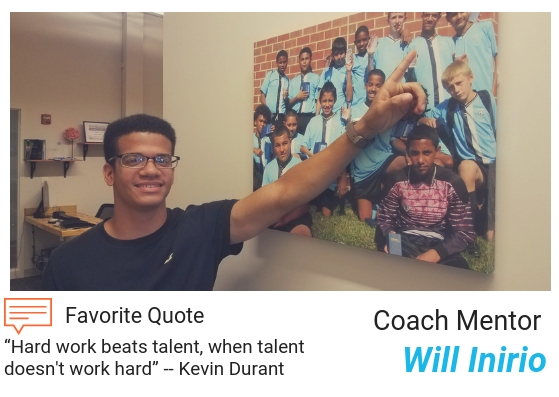 Over the summer, we hire 8 full-time Beyond Soccer youth who have grown up in our programs to be part of our Youth Jobs Program. This summer we distributed $28,000 in youth employment stipends, bringing our summer jobs program total to more than $55,000 since 2013, with 100% of our Summer Youth Jobs participants reporting their experience “as overwhelmingly positive,” with most gaining a stronger sense of self-worth and accomplishment after their 8-week experience. Oriagna Inirio, 7 year Beyond Soccer participant and twin sister of Will Inirio said, “It’s the best thing that has ever happened to me. I get to teach kids the sport that has taught and influenced me so much.” The group of coach mentors pictured above led our most successful summer with more than 600 hours of sponsored activities! 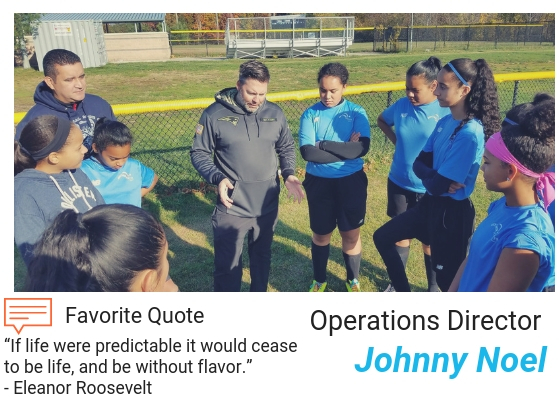 Operations Director, Johnny Noel, handles the day to day functions of Beyond Soccer, including bookkeeping, field and equipment maintenance, human resource management, as well as some fundraising responsibilities. Johnny, a UMass Lowell alumni, has extensive experience in the public sector. He also holds a Master’s Degree from University of South Alabama. Johnny’s passion for sports and coaching was advanced by his own, competitive high school and college sports experiences, including junior hockey league participation. Fun Fact: Johnny and his brother were both born on a Wed at 5:34pm and they are not twins! Adam is the middle child with 2 sisters. 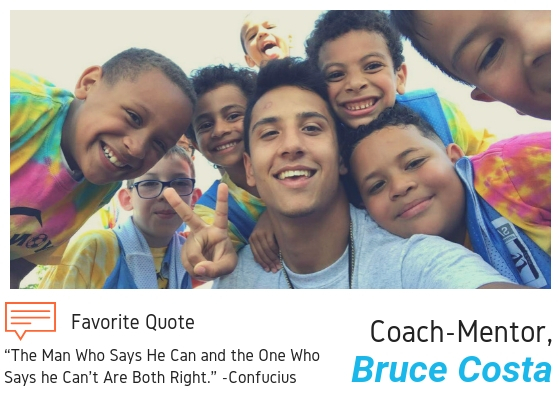 He is half Vietnamese and half Puerto Rican with dreams of traveling around the world to either start or partner with a nonprofit that works with children. 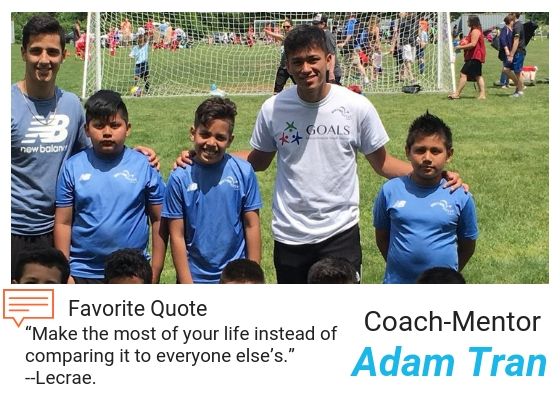 Adam has played soccer since age 4, and even played for the Boston Bolts US Soccer Development Academy team. That means he is really, really good. As a youth leader at his church, he has always loved seeing kids grow up and develop. He said God has led him to these opportunities to connect with kids, which includes 2 years with Beyond Soccer, and most recently as Co-Coach of the Grade 6 Rebels Team. Fun fact about Adam: Adam loves playing guitar and singing for his church every Sunday. With a playing career that spans from U12 town soccer all the way to college and the W-League, it was only natural that one of the first things Marcy did when she moved to Lawrence was seek out a city youth program. She came to us with extensive experience coaching U14 travel teams, training high school goalkeepers, and working at soccer clinics and camps. 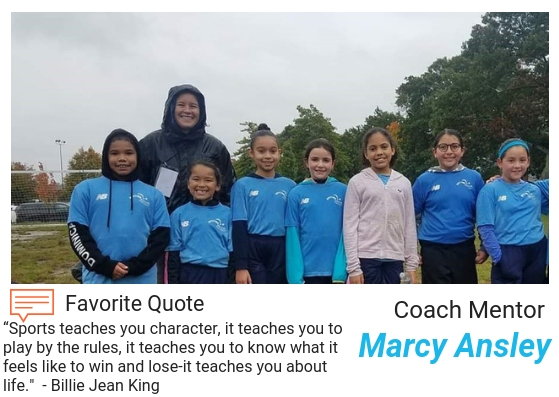 Now 6 years later, she has helped Beyond Soccer with its spring and fall city-wide rec program, has coached the U12 team, the high school age team and currently the new girls grade 4 team- the Jaguars. She has also recently welcomed two additional Ansleys to Beyond Soccer–her children! She has a son and daughter who play in the rec league. Fun fact: Before becoming a Mom, Marcy rode a motorcycle - she even took a wedding photo while sitting on the bike. Cesar joined our coaching staff as an assistant Coach-Mentor in Spring 2017. Cesar, a native of Columbia and a huge soccer fan, was always stepping up to help from the sidelines as a dedicated parent of then 5th grader, Melanie. Beyond Soccer staff knew, right away, that he would be an awesome asset on the "other" sideline! 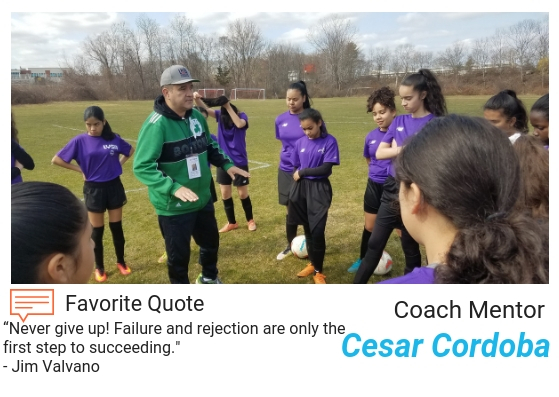 And we were right- Cesar, who now coaches the grade 8 Wolverines, has proven that commitment, dedication and hard work are a great recipe for success-both on and off the field! Cesar’s youngest daughter, Shantel, also plays on our Grade 4 Jaguars team! Fun fact: "I love the water, even though I don’t know how to swim!" 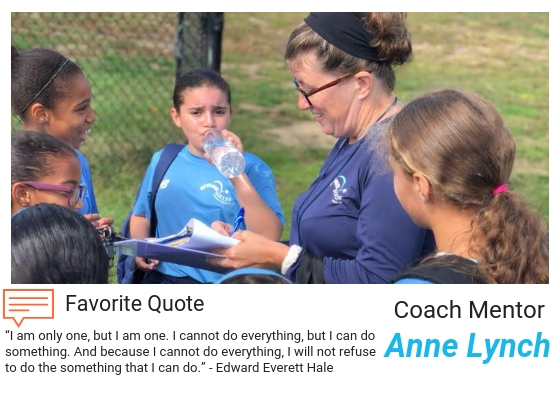 Anne started playing soccer at age 9, the first year it was offered by North Andover Soccer. She continued playing after college in the Eastern Mass Women’s League and still plays indoors. In fact, most of her friendships have been made through soccer. Every time she moved she sought out a team and instantly found herself surrounded by like-minded people. It’s obvious she wants to create those same connections for her Grade 6 Bulldogs, a team she’s coached 3 seasons. Her involvement with us came after a social media share by a student in the I Have a Dream Program, a program she worked that helped 63 Arlington Middle School students pursue their dream of higher education. She feels like that program, sponsored by Dee and Kingman Webster, has come full circle! Now she is showing girls what is possible when they are given more opportunities. Fun fact: Anne has run the Boston Marathon 3 times, plus a marathon in San Diego and the Marine Corps! An exciting and important part of our coaching model, is developing youth who have grown up in our programs, to step into leadership roles as Coach-Mentors. 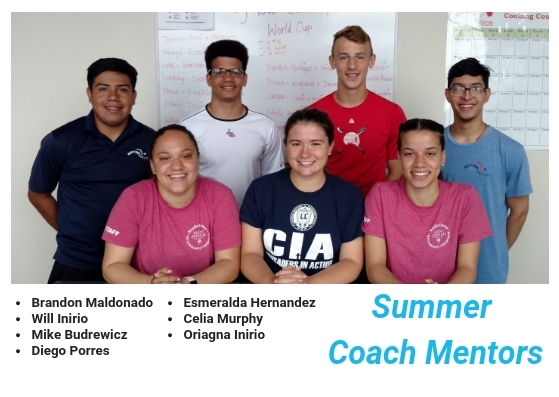 This summer, 8 Beyond Soccer high school graduates, worked as Coach-Mentors running our busy summer camps that reached 550 youth between June and August 2018.